Plant in fall in well-drained, sandy soil in full sun to partial shade. Plant bulbs 2-4″ deep and 2-3″ apart. For best effect, plant in drifts of 20 or more bulbs. Crocus naturalize well. Grows 4-6″ tall . 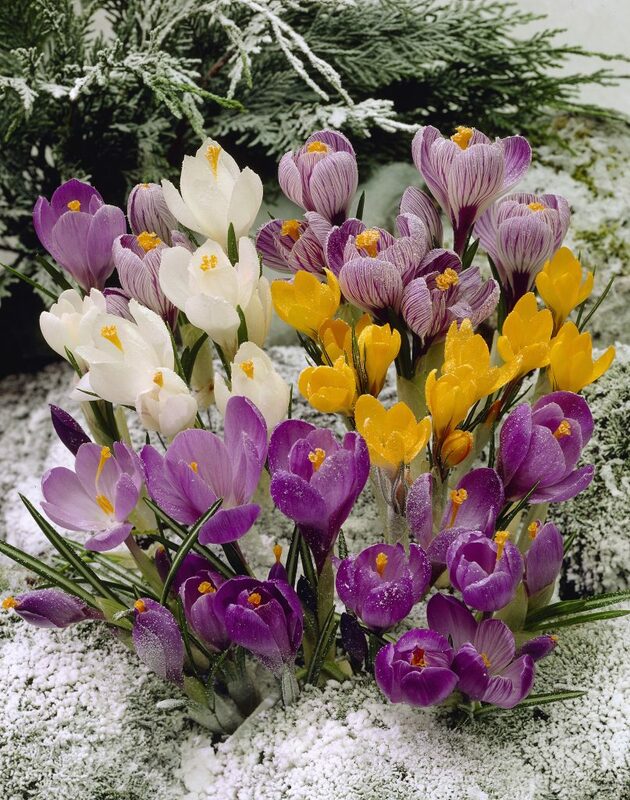 Crocus can be successfully grown in a lawn for a spring meadow effect. Hold off on mowing the lawn in spring until the crocus foliage begins to die back. Blooms February-March. Hardy in zones 3-9.